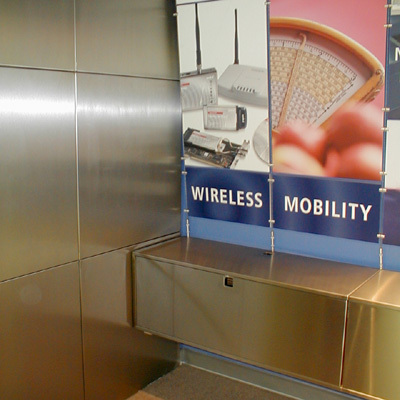 Symbol Technologies is a company that makes Bar Code Scanners, Mobile Computers, RFID and wireless technology products for Government and diverse Business clients. 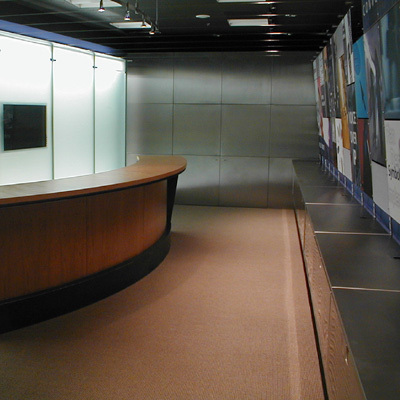 The Demonstration Room is a place where presentations of products and services are made to prospective Industry clients. 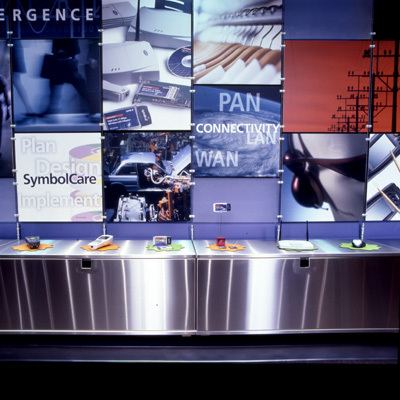 The presentations include displays of actual product such as hand-held scanners, as well as video presentations on screen. 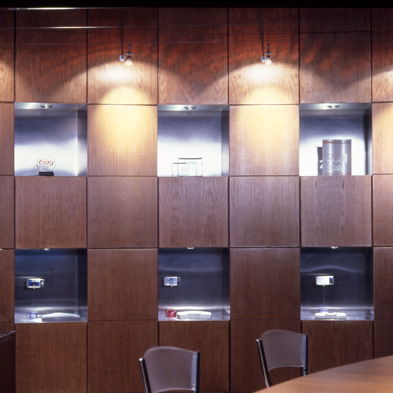 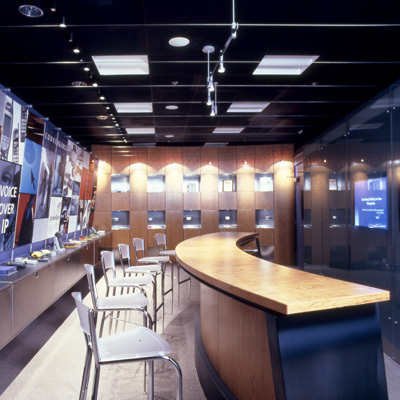 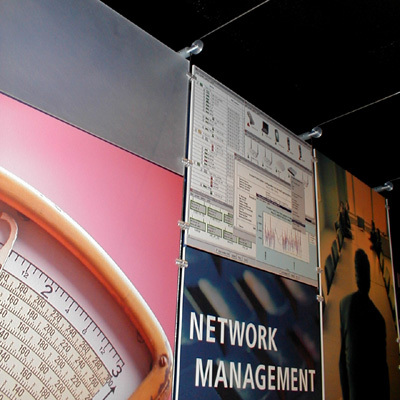 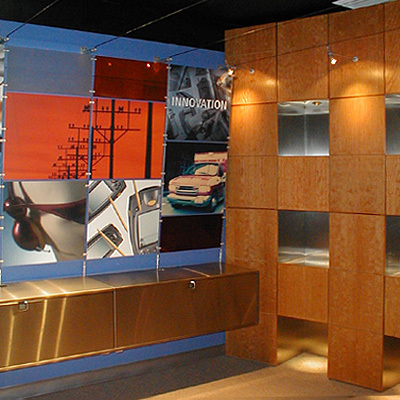 The design of the room includes illuminated display niches in a curving cherry wall for objects, and LCD TV screens behind glass for graphic presentation. 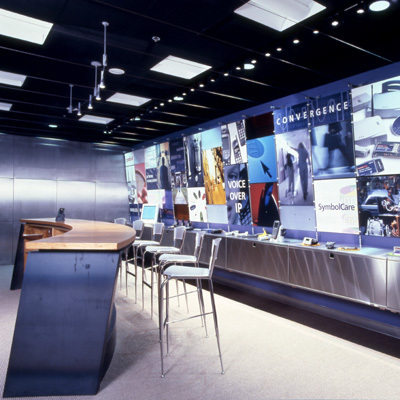 In addition, the firm designed an illuminated wall that glows to be come a seamless backlit diagram surface for marker presentations.